Steve Jobs has passed away at the age of 56. He is an icon of success. He has changed and developed our technology to the point that the competitors are having a hard time beating his innovations. Almost everyone has been touched by this amazing man. 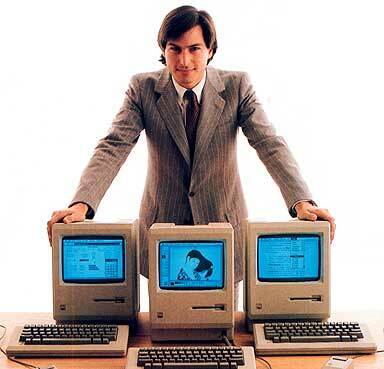 The first time that I saw a Mac was when I was 9 years old. I was already a PC user that time, but my attention was caught by that APPLE icon. However, I only started using Apple products when I was in highschool--when the first generation of iPods came out. Dad bought me one and I was like "What's this?..." That started to change everything. College came and I needed a laptop. Dad saw this student promo from Apple and as a birthday gift, he gave me a Macbook that had an iPod nano as a partner. I was not that happy with my Macbook because I was a PC user, but after some time, I started loving it. I was able to create wonderful projects with it such as songs and videos. Although I can do it with a PC, I became comfortable with Mac. Until now, I am using Apple products, mainly because of the accessible applications and amazing features. I love Windows too and have lived 3/4 of my life using it, but I got used to Mac that it became my partner in all of my projects. Apple has definitely created a big impact. It's hard NOT to see anyone using an Apple product--even the fake ones with the Apple logo. Also, Steve Jobs has been an inspiration. He is the image of success, and he has been a blessing to many. May you rest in peace. You will be missed. Thank you for being part of my life. Steve Jobs will always be remembered. :) We owe so much to him! I started using apple this year. Because I don't have pera pambili. But I have big respect for this Man. Specially when I read his profile. Amazing guy. Napa english me. 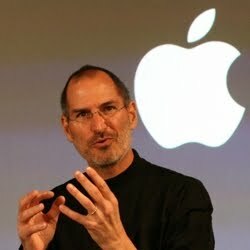 he really did great in shaping this digital world we are IN now and forever it will leave a mark.. thanks to you, Steve.. The first apple was from the garden of Eden, the second fall on Newton and this is the third one.May 4th pa kia? I am a new Apple products user and I'm still groping around but one thing's for sure, nakaka-enjoy sila gamitin. So I have Steve Jobs to thank I guess. I don't mourn though kasi napaka-overpriced ng products nya LOL. Yes he is one of the foundations of the Modern world without his technological advances we are not here now.